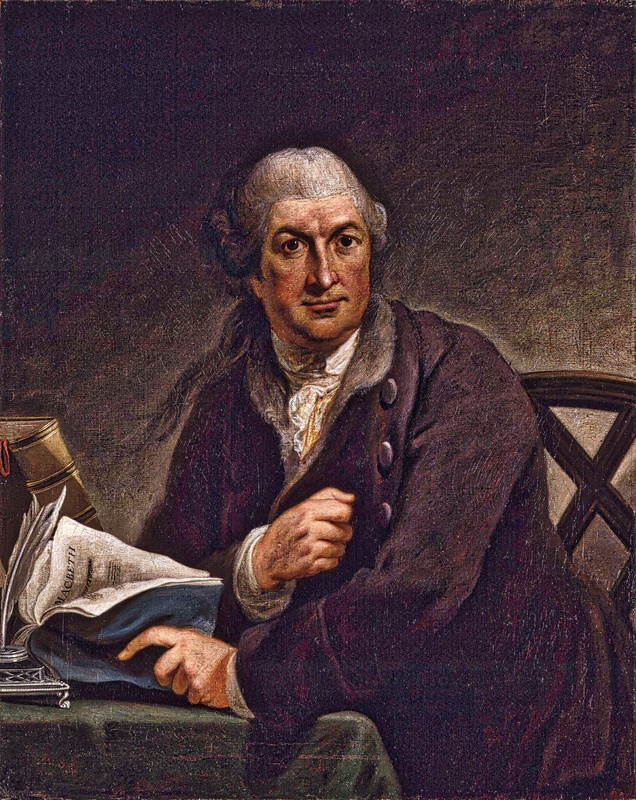 David Garrick seems, at least for a while, to have been a frequent visitor to Laetitia Hawkins’s house and family in Twickenham. Here are some of her observations on this famous English actor. I confess I was afraid of him more than I was of Johnson, whom I knew not to be, nor could ever suppose he would be thought, an extraordinary man. Garrick had a frown, and spoke impetuously; Johnson was slow, and kind in his way to children. He moved my compassion by lamenting the misery of being summoned to town in hot weather to play before the King of Denmark. I thought him sincere and his case pitiable, till my father assured me that he was in reality very well pleased, and that what he groaned at as labour was an honour paid to his talents. Garrick also used Sir John Hawkins, Laetitia’s father, as a shoulder to cry on and a source of practical advice. Once, Laetitia relates, Garrick feared his wife was going to leave him because of his infidelity. He rushed over to Twickenham in a state of complete dejection, assuring Sir John he had never strayed since his marriage. Who can say if this was so? However, he soon forgot his anguish in a welter of impersonations. This serious part of his complaint over, he dashed off in imagination to the various representations of the supposed fact that would probably be made by each inhabitant of Twickenham. It was a most perfect piece of acting as to every imitable particular, even to the click of encouragement with which one gentleman, inclined to be the hasty bearer of news about a village, would set his horse off again after he had disburdened his mind. Everything was now prepared to inflict on Steevens the punishment he merited, and I was in the act of copying a statement of grievances, when he entered the room. My father met him with the paper in his hand, and verbally taxed him with being the cause of hostility between himself, Garrick, and Murphy. I heard him, with guilt in his countenance, deny it, and offer to take the Sacrament on the truth of what he asserted. I remember my father’s saying, ‘A pretty fellow you to talk of taking the Sacrament!’ and then taking him by the collar, and turning him out of doors.